After our dog-friendly visit at Riverside Park Waterfront and Waterfalls, it was time to grab some lunch. 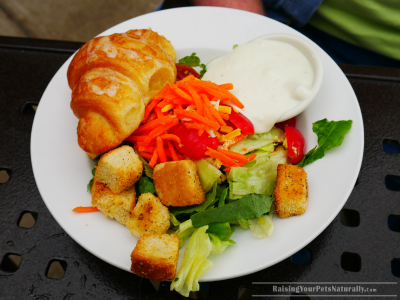 We were driving around Findlay, Ohio and saw Cheddar’s Scratch Kitchen Restaurant, and we noticed they had a patio. I hopped out and asked the staff if the patio was dog-friendly, and with an enthusiastic “yes,” we had found our lunch spot! I grabbed Dexter The Dog, Grandma, and Eddie, and we sat down at one of the tables on Cheddar’s outdoor patio. Our waitress was extremely friendly and welcomed Dexter. Our beverages came out in a flash, as well as our chips and homemade queso with beef dip. Oh, my. I’m a fan of queso dip; I eat it at a local Mexican restaurant almost every Friday, but this was different – cheddar cheese with seasoned ground beef and man, was it good. The melted cheese had a smoky flavor, and it made for a very unique and tasty appetizer. The tortilla chips were light and not greasy. I really went to town eating them; I think I had more than my 1/3 of the order! Sorry, Mom and Ed. The manager came out to say hello and told us a story of a guest who called just the week prior to ask if dogs were allowed on the patio. This was actually a new concept for the manager, and he said sure. And now, we were the second dog guests at Cheddar’s in Findlay, Ohio. He was very pleasant, and I sure hope Dexter made a good impression. Cheddar’s menu was quite large, and the prices were beyond reasonable. I actually had a hard time choosing what I was going to have for lunch. Usually there are only one or two items on a menu I even like, but that was not the case at Cheddar’s. I went for the Cheddar’s club sandwich on toasted potato bread, with fresh, hand-cut fries. My mom ordered the fried fish tacos and my step-dad, Ed went crazy and ordered the Monte Cristo. We were all extremely impressed with the quality of the food. Everything tasted great and was fresh and crisp, and I could totally tell it was from scratch. My club sandwich was stacked high with smoked ham, smoked turkey, bacon, American cheese, cheddar cheese and the works on condiments. The bread was toasted and had a really nice taste and texture. Dexter enjoyed some of my fries; I just couldn’t say no to those eyes. I wasn’t prepared for a lunch outing, so I had not packed him a stuffed food treat toy. Leftovers? You bet. We were so full, we didn’t have room for dessert, but that’s OK – we got dessert to go. And I really appreciated their small, bite-sized dessert minis, so I was able to order both hand-made key lime pie cheesecake and chocolate trifle. The leftovers were great for dinner, and topping it off with those dessert minis really made this trip to Cheddar’s a home run. 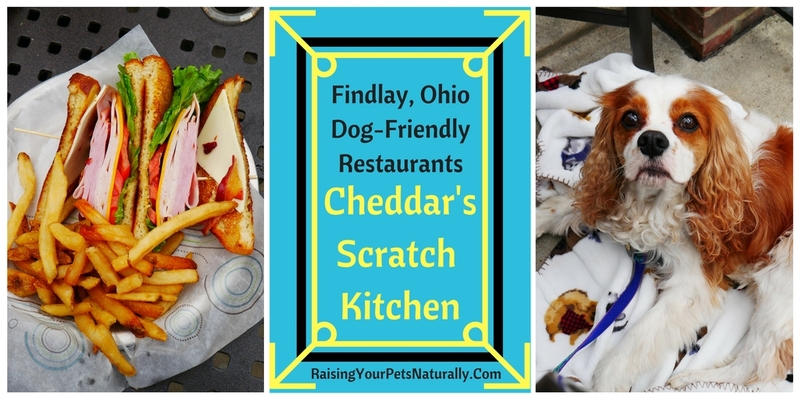 We are already planning our next outing to Findlay, Ohio, just to go to Cheddar’s! 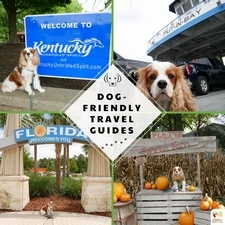 Do you travel with your dog and visit dog-friendly restaurants? Tell me in the comments. OMG you’re making me hungry!! I love when we stumble upon restaurants with patios and they happen to be dog friendly. 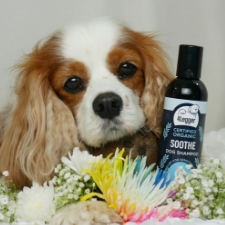 I bet Dexter was a perfect spokes-doggy for polite lunch pups everywhere! We’ve been the first at a few places and I love when the management gives you an enthusiastic “yes, sure” and you can help pave the way for official pet-friendly policies. 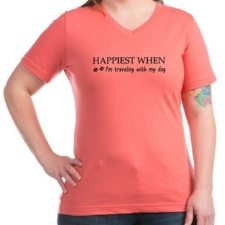 Especially when there is queso involved… YUM! 🙂 The food was really tasty! I sure hope they continue to allow pups on their patio. Dexter was a good boy. 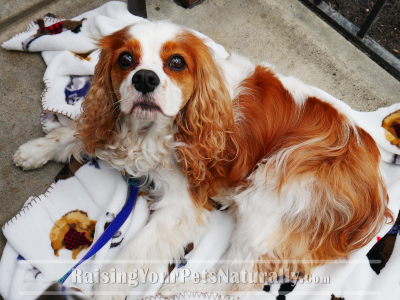 Isn’t it fabulous to find great restaurants that are dog friendly on their patio!? The food looks delish! I love that you were only the second ones to visit w/ a dog, I know Dexter made an awesome impression – trail blazer that he is! Thanks for sharing. Dexter was on his best behavior. Hopefully, that opened the door for more dogs to enjoy. I love dog-friendly patios! Especially if they’re covered and heated. I took Mr. N into a store with me the other day and asked if he could come in and they were like of course and seemed surprised that I’d even ask. Okay, you’re making me even hungrier! 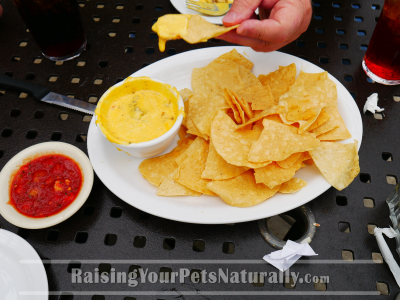 That queso dip looks out of this world amazing…..I have a penchant for any type of cheese sauce. Yum. I love that you got out and asked. 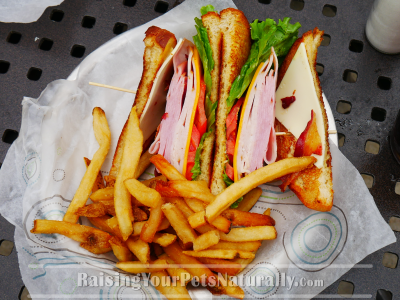 A lot of restaurants with outdoor seating are dog-friendly, if you ask nicely and your dog has good manners. 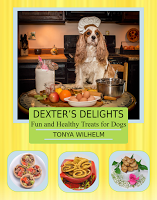 Glad Dexter was a good ambassador for doggie dining! Yes, cheese=yum! We have learned over the years to ask, we receive a lot of yes answers. Dexter was on his best behavior. The food looks delicious! How fun that you were only their second dog guests on the patio! So good! We plan on going back. OOOH this made me so hungry. I love chips and dip and everything you ordered looks amazing especially the sandwich and salad. YUM! How lucky that the patio was dog-friendly and I am sure Dexter was a good boy and made the manager happy about his decision. I wish restaurants in Toronto were allowed to have dogs but we have some provincial food/health rule I believe. Oh, that’s such a shame! Dexter made me proud, for sure! So nice to find pet friendly options. I always avoid travel in North America because it’s difficult to find and relegated to outdoor options so … when the weather doesn’t cooperate what are we to do? This looks like a nice spot. Did they have a vegan option on the menu? (Challenge #2 for us). It’s great to find dog-friendly patios. I only travel in the US and have yet had a problem finding a good spot. Not sure about vegan, I’m not, so I didn’t look. I believe their menu is online. I’m surprised that dog-friendly restaurants aren’t more common by now. It’s awesome there are some, though. We don’t do much traveling now, having all the dogs need and want right where we live. It would be nice to have more, but I’ve been lucky to find some in each town I look. Multiple dogs would be a challenge! Wow this looks a good place for a meal, you make me hungry just reading about this. Food regulations are so different, especially for this like cats and dogs. In Paris the cats were allowed where we ate and no one gave a damn about it, in the US you have to eat separately! I LOVED the cat cafe in Paris! A cat cafe would be so neat! I honestly don’t know why it’s such an issue. When I read about all the normal food violations in restaurants, and what, they think dogs are going to make it worse? I LOVE queso!! We are still working on getting Piper back in the car. As the warm weather returns, I really want to be able to take her back out to the dog-friendly breweries and dog-friendly patios around town. 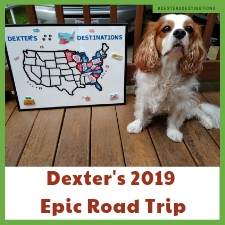 There are more and more spots that welcome dogs but they all require a car ride so, fingers crossed that we can overcome her fear and get out there for some adventures! That looks like a delicious meal! How fun that they are pet-friendly too. 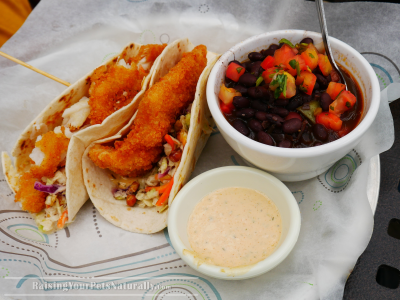 There is some great food in Findlay, Ohio. My husband and I pass through there once in a while when we help take our church youth group to camp. There is a steakhouse there with an absolutely delicious portabella mushroom burger. I don’t know if they are pet-friendly, though. I’ll have to remember this restaurant if we ever take the kitties with us down that way! Thanks, Robin. Oh, I love portabella mushroom burgers. I’ll have to check it out, thanks for the tip. The food looks great! I’m glad that it was a dog-friendly place and hope more restaurants will follow suit! Me too. Pretty close to us, so we may go back this summer. I hadn’t even thought about needing to find dog friendly restaurants when traveling. I don’t know what I was thinking! Now that I am trying to locate pet friendly restaurants for BlogPaws, I realize there is a lot one must do to be prepared when traveling. Glad this was a great dog friendly location. Yes. 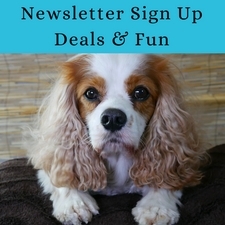 For me, finding great dog-friendly events and restaurants before the vacation is fun. It gets me excited to travel! Thanks. 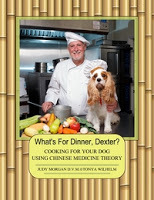 Dexter tries to be a good ambassador and he certainly would like a pet dish!